If you need eye surgery it is possible to have several procedures done privately to avoid waiting for National Health Service treatment in the UK. Another option is to travel elsewhere in Europe to have a cataract operation, laser eye treatment to correct vision problems or to have the latest surgery to implant an intraocular lens to treat the long sightedness that comes to all of us in middle age. The idea of travelling abroad for medical treatment can be quite daunting but it is possible to find so much information about different clinics in different European countries now. Knowing exactly what the facilities are like, what the treatment will entail and what the costs will be can be very reassuring and more people are choosing to travel to Norway, France, Spain or elsewhere in Europe to get a very competitive price on many different types of eye surgery. The Scan Health Clinic in Norway is building up a very good reputation for its work with intraocular lenses. These are able to correct the vision problems caused by presbyopia, the medical term for the long sightedness that develops as the eye’s natural lens becomes less flexible in the late forties and early fifties. By inserting an extra, acrylic lens into each eye, it is possible to provide good distance vision and close vision without the need for any glasses, varifocals or bifocals. The facilities at the clinic are very impressive and the centre has been praised by many patients and international authorities. People report that they have been able to arrange treatment very quickly – within days rather than waiting for weeks or even months. Surprisingly, the costs are very much less than some private clinics in the UK and patients often travel here from the USA if they do not have medical insurance. Private eye surgery in Norway is at least half of the cost of the same treatment carried out privately there. For people in the south of the UK, travelling to Belgium to have eye surgery is a very attractive option as it can be reached easily by train in a couple of hours. Private clinics in Belgium offer a range of laser eye surgery, including LASIK treatment to correct different eyesight defects. A specially customised LASIK treatment has been developed for short sightedness only and patients report vision improvements that are very impressive, often enabling them to see better than people with no eye problems at all. People who need cataract surgery are usually discharged from hospital the same day that the eye surgery is completed. 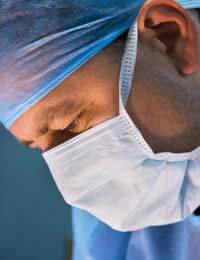 This procedure is a routine out-patient operation that is usually straightforward. You do need a few days to recover afterwards though, and more people are now choosing to go to Cyprus to have their cataracts treated by eye surgery. The prices for private treatment are lower than in the UK, and it is easy to combine treatment with a family holiday. They find it a great bonus to recover in the sun, taking it easy for the first few days and then have a fabulous time in the rest of the break with improved vision. Hungarian eye surgery clinics probably provide the best facilities for the best value of anywhere in Europe. Travelling to Budapest takes only 2 hours from most UK airports, and visiting this former eastern bloc country can be very interesting and worthwhile. The Vision Correction Clinic in Hungary is the only place in Europe that provides IntraLASIK eye surgery, which costs just £899 per eye for treatment. Recovery times for this type of laser surgery are very fast, and you can decide to fly out, have your surgery, and then fly back three days later with no ill effects. Other laser treatments may require you to stay a bit longer and the clinic recommends combining a cataract operation with a two week break so that you can receive the after care that you need.